In the traditional sense, a missionary is someone who leaves their homeland and goes to a foreign country. In order to immerse themselves into that cultural context, they learn the language, study culture, and observe the behavior of individuals and people groups within that culture. As they start to become familiar with the culture and build relationships with the locals, they begin to learn how to contextualize the gospel message in a culturally appropriate way to the people around them so people will receive it. It is the prayer of a missionary that these individuals will believe in Jesus through discipleship and become transformed in His image, who will then turn and make disciples, who will make more disciples, who will make disciples. The hope is that those disciples will continue sharing the gospel until all the nations of the earth come to know and believe in the one true God, thus fulfilling the Great Commission. Read more on What is a Missionary? The problem is, not many of us know where to begin with our calling on how to become a missionary so that disciple-making can happen. Do you take a gap year and travel the world with the World Race, or do you join a missionary training program such as YWAM? Or, do you go to college and get a missionary degree? Not everyone’s journey to become a missionary looks the same. Still, whether you received your calling to be a missionary from a young age or later in life, we all share the same question. The first move to becoming a missionary is to remain faithful and obedient in the small, everyday tasks that are set in place before you and trust the Lord’s sovereign guidance in your life. As you develop a deeper intimacy with the Lord, He will direct your steps. In this article, we’ll cover the essentials on how to become a missionary. These are not necessarily done in order as most of them can be done simultaneously, yet all are equally important for you to become an effective missionary. A missionary is someone who seeks after God’s own heart. They develop a listening ear to what the Lord has to say and pray for the Lord to open their eyes to see people as He does. They long for a deeper capacity to love and know God, and they eagerly anticipate the day when every knee will bow before the Lord of Hosts and every tongue proclaim the name of Jesus. Pray and ask God to give you a deeper desire to know Him. A missionary cannot be effective unless he or she abides in the Word of God and prays in the secret place. There must be a deep intimacy between you and the Lord. Ask for the Lord to show you His heart for the nations. Surrender your dreams, desires, and fears. If you want to be an effective missionary, you first need to let the Lord work in your heart. Only then, when you fully lean on the Lord, can He move through you to others. Read our blog post on how to pray for missions. A missionary’s beating heart lies behind the Word of God and of prayer. They are familiar with the truth and well equipped with the armor of God to fight against the schemes of the devil. They meditate on the promises of God and hold His Word close to their heart. An effective missionary is also knowledgeable about various strategies on missions within different cultural contexts. Look for books to expand your borders on learning about culture in other parts of the world. Go to your library and educate yourself in customs, festivals, practices, and expectations before you actually buy a plane ticket and move overseas long-term. Read about other missionaries who have gone before you and pioneered the mission field. Their stories will provide both inspiration and a realistic picture of what life on the mission field can look like. Check out our blog post on Three Books Every Missionary Should Read Before They Go. Missionaries all need some level of accountability and encouragement in each season of life. Those who have been mentored by a person with more life experience have greatly benefited from their wisdom and advice. Find someone who can mentor you in missions. Having a missionary who has already been on the field for a long time can help answer your questions and give you a realistic picture of what it looks like to live a normal life on the mission field. Discipleship is still important in the life of a missionary as it is in the life of a new believer. Mentors will be able to be a listening ear who can help you process through your thoughts, feelings, and insecurities, and encourage you in your calling. They were once where you are now and will pray with you and for you as you prepare to go overseas. One of the key qualities a missionary needs to have is a realistic view of life without the glamor they have preconceived in their mind about what ministry is going to look like. You need to face real facts. Going overseas could put your life at risk and cost you dearly loved ones. While we can’t live in fear, we must also be aware of the surrounding factors but be obedient to the calling God has placed on our lives and walk forward in faith until that door closes. A missionary should not walk onto the mission field without understanding the cost of obedience. Becoming an effective missionary doesn’t happen overnight. Before missionaries go overseas, they need to first learn how to serve in their own home. Serving doesn’t always come naturally. It is a skill that must be acquired and developed. What breaks your heart and motivates you to do something to bring hope to those who have none? Find opportunities to serve within your church, volunteer at a summer camp, or go on a short term mission trip. The willingness to serve must be practiced and sought out. Missionaries know how to adapt to new situations, be flexible with their schedule, guide people through hard situations, and remain steadfast when trials and oppositions come. This also includes being prepared to learn new skills to take on the mission field to help equip them for ministry work. When going on the mission field, it is important to know how to do things. The season you are in now is a great time of preparation. Think of skills you can take with you on the mission field that would be useful. Sometimes this may require taking a class or getting a four-year degree. Possible skills you could learn is how to teach English, start your own business, or build your own solar panels for powering electricity in the middle of a rural village. You never know how these trades will come in handy on the field. Find out what missionary degrees make a lasting impact. Missions agencies were designed to facilitate the sending of missionaries and recognize that all missionaries are called to stewardship and accountability. Many missionaries choose to go with a missions agency who will help provide financial advice and ministry guidance. It is important to find a missions agency who has a vision you can partner with and who wants to partner with what the Lord has placed on your heart. Many agencies will have country locations and ministry opportunities that you can work with. Missions agencies will also equip you with resources, training, and a community of supportive God-fearing people who want to be in the process of preparing you for life overseas and getting you quickly onto the field. A missions agency can help you accomplish more with a team than by yourself. To actually have the impact you want, you need to partner with others. Find out more about missions agencies here. A missionary does not work for himself, nor does he look to gain people’s attention and acceptance. Instead, he works with God and for God alone. Your character is shaped by God and qualities are developed over time as you seek God’s heart. In this next section, we’ll look at what makes an effective missionary. Missionaries are constantly learning new things and must be teachable, adaptable, and flexible. While it is hard to integrate yourself into a different culture, it is important to embrace the challenges as they come and to find things you are thankful for every day. Ask yourself why are you going. Is it because you want to live an adventurous life overseas? Or is it because the love of Christ is so strong in your heart that you long for people to know the love of God personally? The position of a missionary’s heart is what will make or break an effective missionary. As a missionary, you are going to serve as a servant and a leader. This will help you remain humble in your walk with Christ while keeping obedient to the vision God has given you. Missionaries are ordinary people serving an extraordinary God. They are constantly asking Him to help them remain steady in their faith and to help them gain a tender heart for the people He has sent them to. They are constantly reminded that He is with them always and hold fast to His promises, knowing that there is no need to live in fear because they abide in His steadfast love. The mission field is not glamorous. It is a battlefield. To be a missionary means that you will be fighting battles you never knew you had. Battles for justice and peace, for life and liberty, for love and for purity. You need to be mentally, spiritually, physically, and emotionally prepared. The people you are going to are not waiting for you to tell them something they want to hear. But you must remember that it is the Lord who goes before you and is fighting your battles. The gospel is going to turn their world upside down and drastically change their lives. It is going to bring life and hope to a world of utter darkness that has been without Jesus. He has and is already preparing the way for the gospel to transform their lives. Now it’s your turn to rise up and join Him where He is moving. Remember that as a missionary, it’s not about where you go or what people group you are ministering to. It’s about God being known and made known. Your calling is to carry His love to others, and yet still maintain your relationship with the Lord while doing ministry. 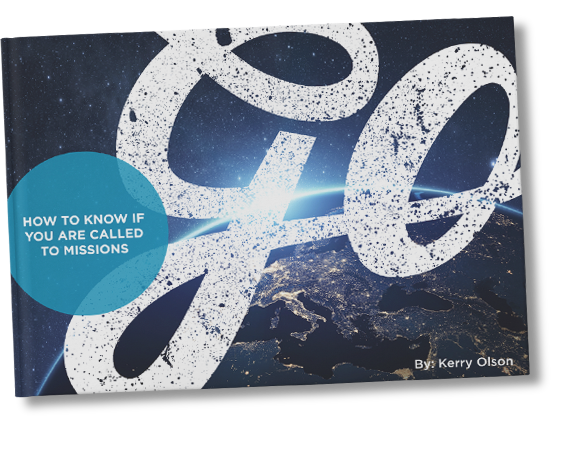 Read our post on How To Know If You Are Called to Missions.